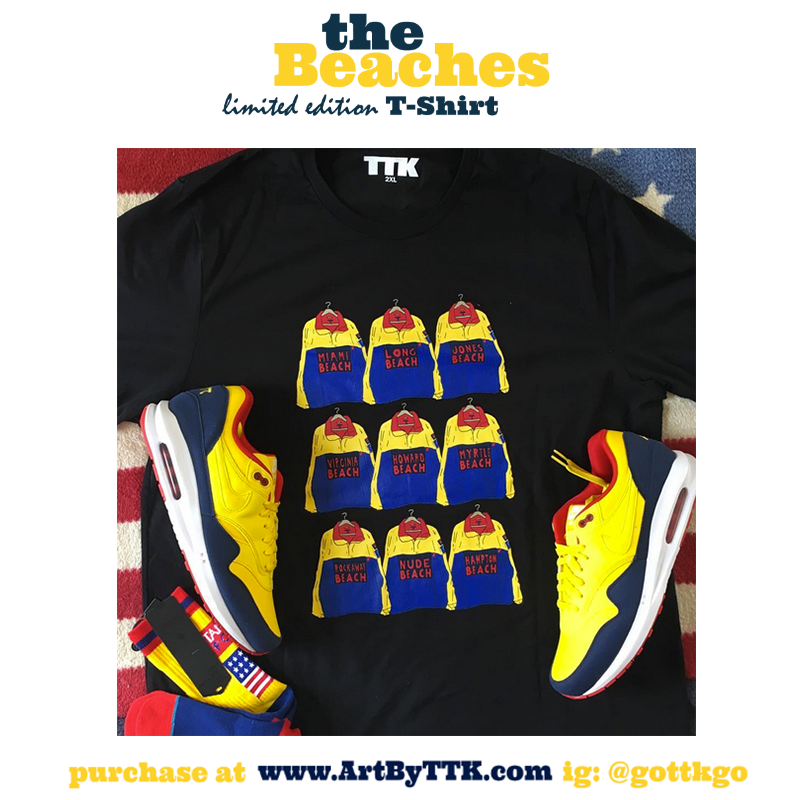 Painter, illustrator and graphic designer TTK just released a new, limited edition T-shirt called ‘The Beaches’. Inspired by Raekwon (who made Polo’s snow beach jacket famous in Wu-Tang’s “Can It Be All So Simple” video), TTK’s latest shirt is already selling out fast. Get yours before your size is gone. NEW MUSIC /// TTK pulled out more dusty vinyl for his latest mix of rare funk, fusion jazz, R&B, and grooves. Listen here. (TTK’s set starts at the 1-hour mark). PODCAST /// In a new interview, filmmaker Victorious asks TTK about how everything from breakdancing to movies informs his creative process. Listen. Remember to reach out to TTK if you need paintings, portraits, posters, t-shirt graphics, or digital designs. And hit up Chevon if you need communications work, a newsletter, social media guidance, some writing, have questions, or want to hop on a phone call for some consulting. We’re ready to work. Finally, a big thank you to all of the people who have already bought The Beaches shirt May you wear it in good health!